Engineering, Medical, Chartered Accounting and Law are a few professions that are considered to be good for one’s status, salary and other perquisites. But, just managing one’s admission into professional institutions does not make a person successful professionally. This book has eleven levels. The first five levels explain what engineering is and how one can become a successful professional, for which parents and teachers should contribute significantly. 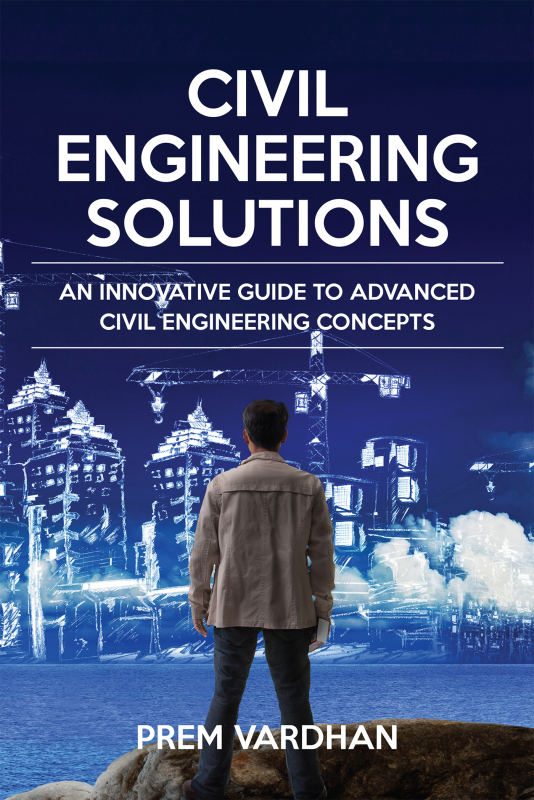 The rest of book takes a civil engineer working on projects like roads, bridges, dams, seaports, airports, industrial and residential buildings etc. on an innovative and interesting professional journey. It explains in minute detail, with examples of possible challenges and solutions for them, covering as many tasks as possible. The construction of major projects has been explained in simple language that best suits a classroom setting. Prem Vardhan is a successful Chartered Civil Engineer with fifty years’ experience in mobilization, planning and execution of multiple projects. He has handled mega construction projects that include the development of roads, river bridges, dams, sea ports, airports, irrigation canals and mega industrial projects like steel plants, oil refineries, power plants and intelligent buildings. Prem is known for his innovative practical solutions to complex problems in his field as a representative of both, contractors and owners. He has recently retired as the Director of a construction company.